Do you make this mistake with your dog? I was sitting in a cafe with Coco Poodle lying beside me on his mat, calmly watching the other visitors, with a chew to engage him too. I’d chosen a quiet place out of the way of foot traffic. He couldn’t get trodden on, and I know that he also enjoys being able to see out of the big windows. 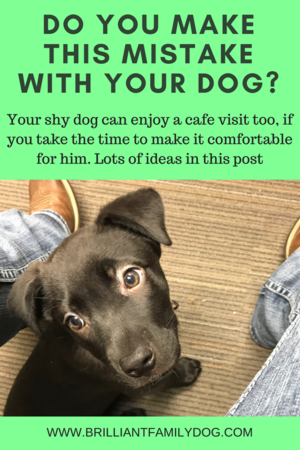 Got an anxious, fearful dog? Check out the free 5 Day Workshop here! THIS FREE WORKSHOP IS A BONUS FOR YOU WHEN YOU SIGN UP TO RECEIVE EDUCATIONAL EMAILS AND OCCASIONAL OFFERS FROM ME. YOU CAN UNSUBSCRIBE AT ANY TIME. At a table right in the middle of this cafe, a woman was reprimanding her small dog. He clearly felt uneasy with all the activity around him - people walking this way and that, almost treading on him - and was seeking security by trying to get onto her lap. “Get off!” “Down!” “No!” “Get down! !” she kept saying. This did nothing to allay her dog’s anxiety, and her attention was simply fuelling his desire to climb up. Eventually he gave up. He was defeated and alone. He looked around him - worried - and sat. And what did his owner say to this? I thought it very sad that she had no thought of why her dog was trying to jump on her. She was only concerned about what people may think. Her barrage of commands was a knee-jerk reaction to the dog’s paws on her lap. She then compounded her error by nagging the dog repeatedly - and when he eventually complied (more by luck than by judgment!) she ignored him. I’ve no doubt that this lady’s a kind and friendly person who thought she was doing the right thing to get her dog to behave in public. But unfortunately many people have no idea how to achieve this except by using bossy methods. Sadly she’d got it quite the wrong way round! Drawing attention to what she didn't want was making it more likely that that was what she was going to keep getting! So what would have worked better? *If she had responded to his fears and need for reassurance he would have settled sooner. • If she had ignored his clambering attempts then responded to him warmly when he stopped she’d have had far greater success at keeping his feet on the floor. it would have been better again. It’s a very small change - just a switch from being reactive to being proactive. But it will change your dog’s state of mind in an instant. 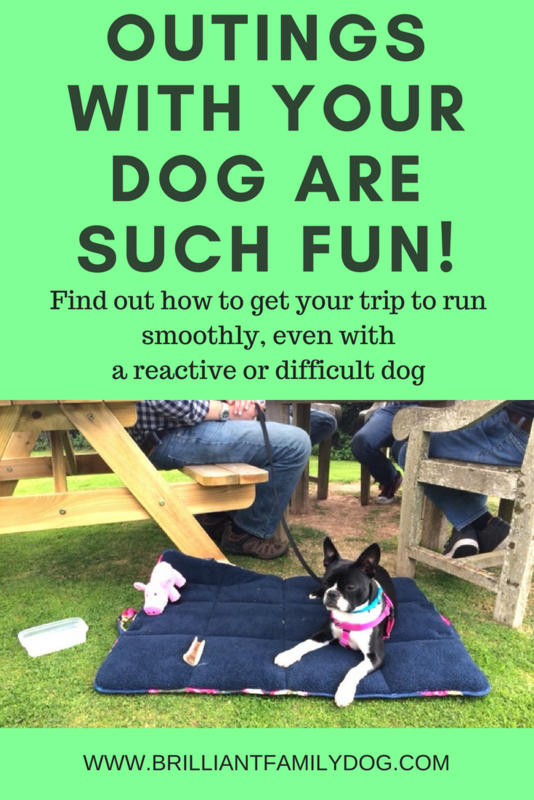 Lots more ways to become proactive and stop nagging your dog in our free 8-part email course!